The Wellhead Restaurant and Brewpub in downtown Artesia is celebrating 10 years in business this year. Owner Frank Yates sat down with the Daily Press last week during an anniversary celebration held on the patio of the Wellhead to talk about the way his establishment came to exist, how the business has evolved during the first 10 years of operation, as well as what the future holds for one of Artesia’s favorite watering holes. 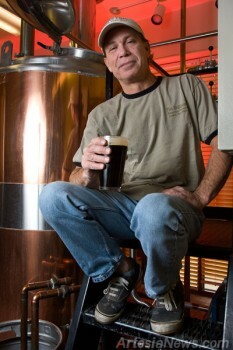 Yates said the idea formed to open a local brewery in the late 1990s when his brother Mike Stegall, who later became the Wellhead’s first brewmaster, began experimenting with making beer in his garage using a “little brew system” purchased for Stegall by his wife.